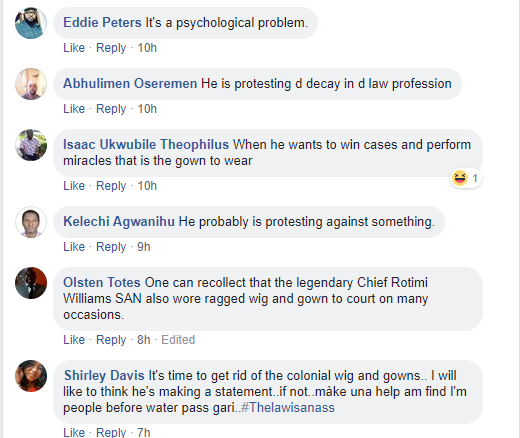 A senior lawyer has become a subject of mockery and criticisms online following his outfit to court on Tuesday (yesterday). 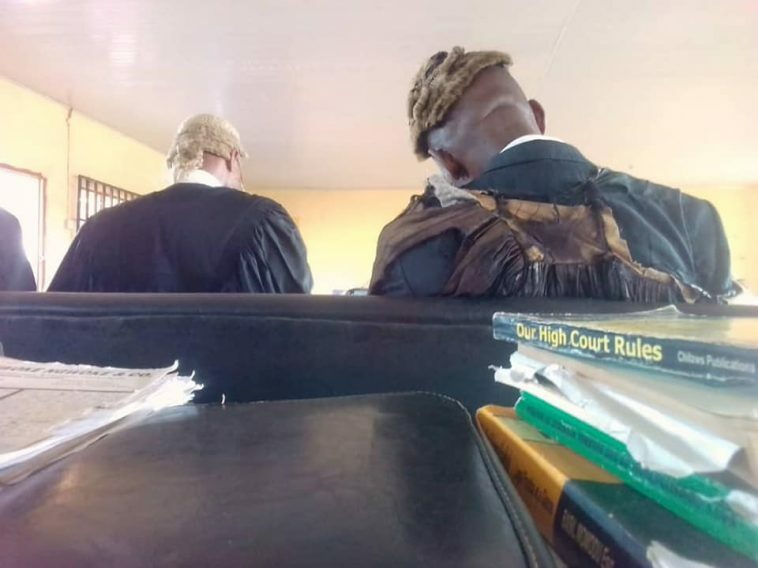 According to a concerned citizen who took to social media to reveal his displeasure with the lawyer's torn and raggedy wig and gown, this is not the first time the man (lawyer) has appeared in court dressed like that. Internet users including legal practitioners criticized and berated the lawyer for the attire after these pictures were shared online as many were left shocked why a senior lawyer would dress in such manner to court considering his status. 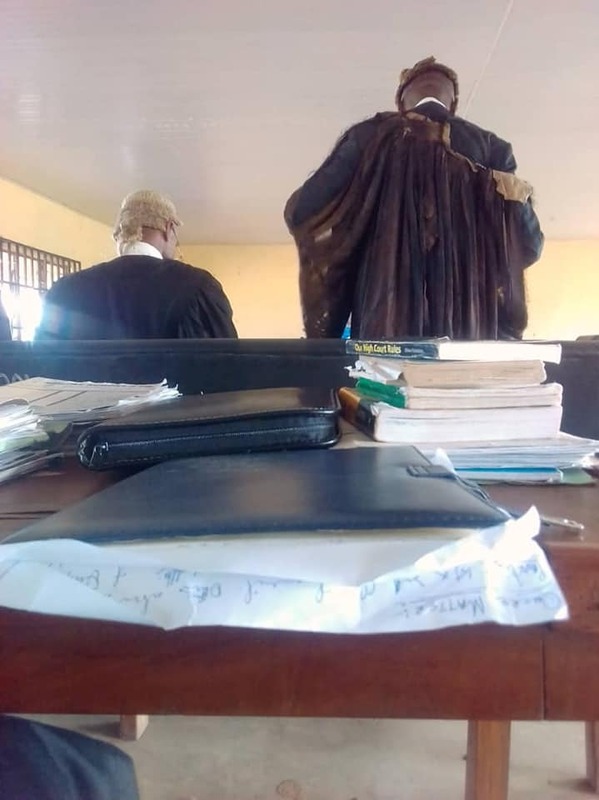 "This is what a very Senior Lawyer wore to court .Today was not the first day I saw him like this.I am bothered as to why a senior lawyer will be comfortable to wear a raggy wig and gown to court.This beats me". 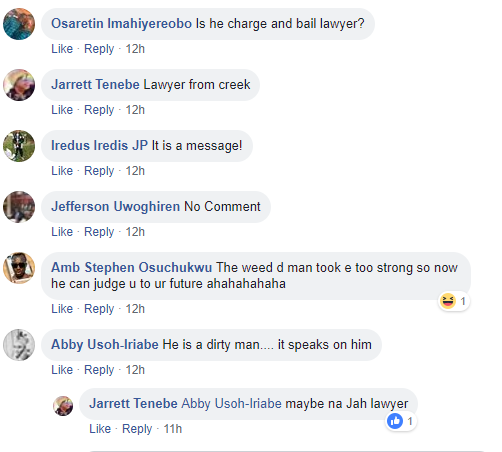 According to reports, A Female Burglar was stripped unclad and asked to return the goods she stole after being caught in Ibadan.